I found this article interesting in that the struggle between local control and state and federal level control was started back in the days of the 13 colonies. In the videos that we watch in the first week of class we seen educational reform as proposed by Jefferson. The paragraph about discretionary insubordination as it relates to principals over looking what is being order of them and then allowing the locals to modify the orders to meet the needs of what is best for the student. I also found it interesting where the Chicago Public Schools administration did not want give any control to the local taxpayers, by allowing them to help in any part of the decision making of what students need as it relates to education and curriculum. This is a key component to No Child Left Behind (NCLB) and to the North Central Association (NCA) process for school accreditation to allow for public input. Part of the school improvement requirements talk about getting input from the public on school improvement planning. At Unionville-Sebewaing Area schools we use the Professional Learning Community (PLC) model . The PLC tries to tare down some of the long standing walls between education and community. It allows all stake holders to have a part in helping in the education of the children. The National Education Association (NEA) and Michigan Education Association (MEA) did grow strong in power in the 1970, but its power has been reduced by the changes in the Political Action Committee (PAC) fund rising restriction of not allowing the Union to directly take money from Payroll as in Payroll Deduction and forces them to pay for the PAC out of there pockets. I find the statement to be very true as it relates to democrats and republicans. It seems that the platform for the democrats is more teacher friendly as compared to the republicans as far as it stands on most of the educational issues. I can also see the point of bureaucracy as created by some of the large school system across the United States. They are out of control as it relates to the multi layers of bureaucracy. I have seen it my self where if a staff is not on board they will tend to sabotage the program to make sure that it fails. They tend to have the, “this to will pass and we will be on to the next program”. If they wait long enough the systems will just change what they are asking of the teachers anyway. I think this is another reason that have try to not change to the requirements NCLB. I believe that many feel that the winds of the political machine will change again before the 2014 requirements. Many feel they will not reauthorize the NCLB bill. In conclusion of this article power of politics and personal agendas and ignoring change all take a big toll on student learning and achievement. I always try to make the best decision in the best interest of students and learning and try to keep my personal feelings out of my day to day decisions. I am not the highest paid person in my district but I enjoy working with the children and when I can make a difference in just one of there life’s it gives me great satisfaction, more then money can buy. I was a nontraditional student that needed someone to help me and guide me and push me when I needed to be pushed. I know the difference that it made in my life and would enjoy sharing that with others. I have work with and for a number of superintendents. I can tell you that they are all very much so politicians and the board of education do play a very large part in the winds of change. I was also on a local village council and always joked with the village clerk when the political pressure would start getting to her. I would say, “In a year or so there will be another election and the winds will change again”. I can see also when schools reach a tipping point with a school board members of the same ethnic background how that can change the dynamics of hiring. As the article describes having good leadership through out the systems from the principal on down into the teachers makes a big difference. I did not realize the roll that politics played with the fears of communism. In conclusion politics have played varied roll in education and you can’t isolate education 100% from it. It is one of the strengths of this country. We have the right of free speech and the ability to influence decision in education and government. When we gather support for a majority point of view in most organizations we can make changes. Also the target of equity for all mankind is a moving all the time. Just when we think we have it nailed down there are changes in the systems. One example of this is changing segregation by bussing the students as we saw in some of the videos. Some of this reason is that we have the ability to make choices in government education. Even though we want to think that money plays no real roll in equity in education. In fact it still does, as parents with money that can get there children in to the best private or public education systems in the world. Even if this means that the family may have to move their family into another school district. These upper scale families have the means to buy what they need to make their students successful. I found this article interesting in that most of these issues of politic and religions are as old as written history. These issues are not new, in that we have had struggles between religions in the world for over 2000 years. As far as the politic in some form of education dates back to pre written history. The Romains struggle with politics and human kind has struggled with power and class of society and even race throughout the existence of the human race. So why would we not expect to find these old debates continue into today’s educational systems. I found it interesting how the Political action groups have help form the battles in education by contributing to the political parties as the religious groups have done to try to get voucher legislation passed. I remember when teachers in the Michigan Education Association were strongly encouraged to payroll deduced their donation to the PAC. Now as I understand it, they have to make the donation out of their pay after they receive their weekly paycheck if they want to contribute. The different groups as in religious and political have also try to create tiered society systems by the use of knowledge. This has help to widen the gaps of the haves and the have not’s. This is illustrated near the time of the civil war in America as we have seen in the past weeks movie. The south states fought hard to keep black people from reading books. Reading is knowledge and power and they want to keep them uneducated and in need of there support systems to keep cheap labor. Another reason for this was because as a group you will struggle to promote an uprising if you can’t communicate when and where the meetings will be held. As we see in the conclusion of this article many groups take the NCLB data and other data and twist it to meet their needs and desires as in race, religion and the struggle for power. A portion of the article talked about business pressure. This is one of the newest pressure compared to most of the other issues. It is born by business men to have a need for skilled workers to help them produce their products. For with out the worker bees there is no one else to do the work and task that the upper middle class doesn’t want to-do. This article didn’t have much in positives that are created by the standardized testing but mostly told why it is doomed to failure. As far as progressive education, NCLB has limited to some degree the ability of schools to help meet all the needs of the student. These skills make students a full and well rounded student with diversity in balance in all aspects of the student from Health Education to Music and cultural art learning. The alarms are sounding again that say are education systems are failing us. This time it is the Global Economy and how the other countries are leaving us behind in education as the sciences and math. The last time that we had this alarm sounding, was when the Russians launched sputnik and we were in a race to catch up in education, sciences and engineering. I was surprised to find in the article where the government is subsidizing Sylivan Learning in areas where the school is under performing and the student is at risk. This type of policy is prompting and allowing for a private company to profit and could easily look to be a pork barrel deal for this company. In conclusion early rooted education systems place education responsibility on the locally controlled boards of education, over the years this has been tested and many attempts to break this local control and place the control with the state and or the federal government. This right and freedoms in the checks and balances of the systems have allowed us some of the autonomy to still help control and steer are local community school to meet the needs and desires of the local people. In conclusion we have not changed educational systems much over the years. If you look at a picture of an early 1900 class room a hundred and eight years later it looks the same in most aspects of the room desk and chairs with the teacher in front of the class a white board my now replace the blackboard but essentially the room is the same. The struggles of curriculum have not changed much either as religions battle over the merits of modern schools curriculum and what part religion should play in establishing each student’s moral fiber. Also if we should educate to think on are own or be programmed to be ready for the working world. I believe that all children deserve a good education and that all children without medical handicaps as mental retardation have the ability to learn. I feel that the NCLB has some good points and also some weaknesses. I think that the one thing that sets the United States apart from other leading countries is are believe that all children should have the opportunity to learn and be given an equal chance to successes. So of the other leading countries that we are always compared to as China, India and Japan don’t offer the same opportunities as we do to allow all children an equal chance at learning. Some of these courtiers’ pigeon hole students as those that will be allowed to go one to higher education and those that will be relegated to a life of physical labor and inferior education. I have read some articles that suggest that they look at us with envoy as it relates to not leaving any child behind. I am a product of the early NCLB movement. I was an unmotivated youth in school that didn’t see the relevance of school and education. I even had a guidance consoler that said you are really not college material so you should take and go to the skill center and work on a vocation. Luckily this miss guided consoler sent me on a path that allowed me to learn of another path and opportunity. A college repetitive came to the skill center and talk to us about Ferris State University. I applied and was accepted in the Automotive service program, While at Ferris they gave me an education that allowed me to go back to school 18 years later and finish a BS in Business management and Networking Technologies. Were I grew to love learning even more, Some students don’t find the desire to learn to later and if we allow even one of these student to fall through the cracks then we have failed in education. On the other side of this article was a section on the head start program. I have just finished reading the book Disrupting Class by Clayton M. Christensen. He talks about a study done by Todd Risley and Betty Hart talks about that talked about the importance of reading and talking to our children at a very early age. This study said that the most critical years when parents can take time and read and talk to their children at this age of one to four with age of birth to one year as the most critical. These children that don’t receive this attention from there parents have a significant chance of becoming at risk students. He further talks about that the Head Start program is very ineffective as you can never replace the child concentric learning that can happen one on one with a parent and there child. I think that some of the other issues of NCLB as standardized testing is just a band aid to a bigger problem we all know how are the ineffective schools so instead of just taking care of the problem with allow them to operate with no sanctions. So this article was very interesting to me and felt that it fit in well with other classes that we have taken in this cohort program. With some of the brain research and educational psychology that we have talk about over the last few semesters. State department of education and standardized testing. I am writing about the way the state has implemented and continues to change the way that school districts report No Child Left Behind (NCLB) and how this affects schools that are trying to meet the standards. The state has adapted testing that is in contradiction to best management teaching practices as research has found. I will describe how the state Michigan Department of Education (MDE) operates in isolation of input from school with out taking public comment on their implementation of the NCLB rules. One of the major points of NCLB is taking parent input on School Improvement. At the same time the state MDE operates in a vacuum, by not getting out and taking public comment on how we could improve assessment systems. Another point that I will look at is the distribution of monies in the state and federal level and how it affects the outcomes of the programs. The third issue that I will talk about is the intent of NCLB and how this approach to student achievement is not the best way of getting the results of having all children become effective learners. Lastly I will talk about what schools can do to help their schools to go from being good school to becoming great schools. 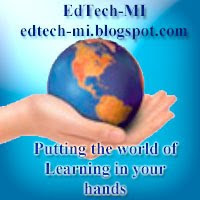 Last march I was at the Michigan Association for Computer Users in Learning (MACUL) I sat in on an open discussion with a group of 20 directors of technology across the state of Michigan. This was one of the first times that I had seen any one from the MDE actually open up a conversation with the practioners and look for are input that would help drive some of the state standards. One of the conversations that we started to talk about was the Michigan Education Technology Standards (METS) assessment. Currently the state feels that this is a requirement of the NCLB, so over the last two years they have been requiring all school to self assess the student proficiency. The Director of Technology was surprised to find in a quick assessment of the room with the use of assessment clickers that we were in favor of a standardized assessment of all students. The reason from most of the people in the room was this, if we don’t use a common assessment that the statistics that we were reporting are useless. We are then only comparing one group of students against the next year’s group of student in that school or district but we can not compare from school district to school district. Also on this issue is that best management practices in education, the researchers tell us that timely feed back on testing become increasingly less important the longer it takes to get feed back to the students. When we look at the MEAP test we get the results almost a year later after the test is taken. If this is a tool to help us make data driven decisions it would seem that they would want to get this feedback to the school much quicker. When we did a site visit to the Department of Education in Ohio in March 2008 they told us that they return their state high stakes test data back to the school 6 weeks after the schools take the test. Six weeks, wow this seems to be a better way of getting data back so schools so that they can actually look at making improvements before the next rounds of testing. On the pro side of No Child Left Behind (NCLB) all children have the right to become literate. There is a quote from the book Bridge to Literacy that says this, “America’s schools need to produce literate citizens who are prepared to compete in the global economy and who have the skills to pursue their own learning well beyond high school” Page 130. Also another quote comes from Margaret Spelling the U.S. Secretary of Education, “One adult unable to read is one too many in America. We must take a comprehensive and preventive approach, beginning with elementary schools and with special emphasis in our high schools. We must focus recourses toward proven, research-based methods to ensure that all adults have the necessary literacy skills to be successful” page 138. The second point that I would like to talk to is the way that monies are handed down at both the state and federal level of government. Many of the monies that funnel to the Local Educational Units (LEA) are based on AYP failure. I feel this is a bad practice by the state MDE for two reasons. One you are giving monies to school systems that have a track record of failing. By throwing more money at these schools will not make them more successful. In fact it may have the opposite effect of harming them further. As they are at a time that they need to focus on school improvement at a simple level and instead will be focusing on trying to implement and a new program in to a dysfunctional program. In a report by Lawrence O. Picus of the University of Southern California he wrote “A careful look at the research on the impact of money on student achievement shows that we may be asking the wrong question. Rather than consider whether or not additional resources will improve educational spending, it seems more important to ask how additional resources could be directed to improve student learning, or in Hanushek's (1994b) view, spend those resources more efficiently”. The Third and last point that I will make is how school can become good to great schools. In the book by Jim Colins he makes five points for school and the social sector going from being good to great. I will briefly try to summaries these but you really need to read this book. The book has had a great impact on my thinking and how we operate in educational systems. They are Level Five leadership, the hedge hog effect, the flywheel effect and the concept of the bus. The first is level five leadership within the organization system. This is having great leadership at all levels especially at the top level of the organization. The Second is the hedge hog concept. This is the process of doing what you do and do it well, in other words don’t try to be many things to everyone. The third is the flywheel effect, start with one success and build on it. This will cause momentum that you can then take to the next project and will keep inspiring the organization to becoming a great system. Lastly is the bus make sure that all stake holders on the bus are on the right bus then make sure that all stake holders are in the right seat on the bus. Many of these items have affected me in my professional experience working at the schools. From the funding of are schools and the way that we use data to drive the educational systems. The federal government and the state are pushing us to become the best we can but they don’t model how to be successful when they don’t get us timely feedback on are data. When they don’t place the tax dollars and grant monies in the school that will make the best use of the funds for all students and to create successful model educational projects that can be replicated in other schools. As far as the good to great model I use these on a daily basis to help my LEA and the ISD and the state to influence them at the leadership level that I can effect to going from being a Great school/education system that it can be. 1. One of the ways that they could resolve the issue of disconnects form the LEA district and the public and parents would be to have more open discussion at a grass roots level. 2. More timely feed back to the LEA cut the time line of feed back from 6 months to 1 year to 6 weeks. 3. Change the way that the state hands out funding of non AYP schools to great schools to create model programs. 5. Modeling best management practices for all school to follow to help them see what good instructional practices look like. 6. Get the right people into the right places in the organization. I.e. If there on the bus and should not be then get them on the right seat or off the bus. Collins, Jim. Good to Great : Why Some Companies Make the Leap... And Others Don't. New York: HarperCollins, 2001. Corcoran, J. (2009). Bridge to Literacy No Child or Adult Left Behind. New York, NY 10006: KAPLAN PUBLISHING. Picus, Lawrence O. "Does Money Matter in Education?" June 1997. Nation Center Education Statistics. 15 Oct. 2008 . To be able to read this go to the lower left screen and select menu tab and then full screen. View more presentations from Fred Sharpsteen.
" " What is going on inside there mind. Watch this video and you may look diffretly at these kids then you do now.